Today, most transactions take place by a form of payment with either inherent, standardized or credit value. Numismatic value may be used to refer to the value in excess of the monetary value conferred by law. This is also known as the "collector value." For example, a collector may be willing to pay more than $2.00 for a United States two-dollar bill, given their low circulation. First attested in English 1829, the word numismatics comes from the adjective numismatic, meaning "of coins", borrowed 1792 from French numismatique, which derives from Late Latin numismatis, genitive of numisma, a variant of nomisma meaning "coin", itself the latinisation of the Greek νόμισμα (nomisma), "current coin, custom", which derives from νομίζω (nomizō), "to hold or own as a custom or usage, to use customarily", in turn from νόμος (nomos), "usage, custom", ultimately from νέμω (nemō), "I dispense, divide, assign, keep, hold". Money itself must be a scarce good. Many items have been used as money, from naturally scarce precious metals and cowry shells through cigarettes to entirely artificial money such as banknotes. Modern money (and most ancient money too) is essentially a token - an abstraction. Paper currency is perhaps the most common type of physical money today. However, goods such as gold or silver retain many of the essential properties of money. 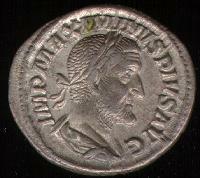 A Roman denarius, a standardized silver coin. Coin collecting may have existed in ancient times. Caesar Augustus gave "coins of every device, including old pieces of the kings and foreign money" as Saturnalia gifts. Petrarch, who wrote in a letter that he was often approached by vinediggers with old coins asking him to buy or to identify the ruler, is credited as the first Renaissance collector. Petrarch presented a collection of Roman coins to Emperor Charles IV in 1355. The first book on coins was De Asse et Partibus (1514) by Guillaume Budé. During the early Renaissance ancient coins were collected by European royalty and nobility. Collectors of coins were Pope Boniface VIII, Emperor Maximilian of the Holy Roman Empire, Louis XIV of France, Ferdinand I, Elector Joachim II of Brandenburg who started the Berlin coin cabinet and Henry IV of France to name a few. Numismatics is called the "Hobby of Kings", due to its most esteemed founders. Professional societies organized in the 19th century. The Royal Numismatic Society was founded in 1836 and immediately began publishing the journal that became the Numismatic Chronicle. The American Numismatic Society was founded in 1858 and began publishing the American Journal of Numismatics in 1866. In 1931 the British Academy launched the Sylloge Nummorum Graecorum publishing collections of Ancient Greek coinage. The first volume of Sylloge of Coins of the British Isles was published in 1958. In the 20th century as well the coins were seen more as archaeological objects. After World War II in Germany a project, Fundmünzen der Antike (Coin finds of the Classical Period) was launched, to register every coin found within Germany. This idea found successors in many countries. In the United States, the US mint established a coin Cabinet in 1838 when chief coiner Adam Eckfeldt donated his personal collection. William E. Du Bois’ Pledges of History... (1846) describes the cabinet. C. Wyllys Betts' American colonial history illustrated by contemporary medals (1894) set the groundwork for the study of American historical medals. Modern numismatics is the study of the coins of the mid 17th to the 21st century, the period of machine struck coins. Their study serves more the need of collectors than historians and it is more often successfully pursued by amateur aficionados than by professional scholars. The focus of modern numismatics lies frequently in the research of production and use of money in historical contexts using mint or other records in order to determine the relative rarity of the coins they study. Varieties, mint-made errors, the results of progressive die wear, mintage figures and even the socio-political context of coin mintings are also matters of interest. Notaphily is the study of paper money or banknotes. It is believed that people have been collecting paper money for as long as it has been in use. However, people only started collecting paper money systematically in Germany in the 1920s, particularly the Serienscheine (Series notes) Notgeld. The turning point occurred in the 1970s, when notaphily was established as a separate area by collectors. At the same time, some developed countries such as the USA, Germany and France began publishing their respective national catalogues of paper money, which represented major points of reference literature. The term numismatist applies to collectors and coin dealers as well as scholars using coins as source or studying coins. The first group chiefly derive pleasure from the simple ownership of monetary devices and studying these coins as private amateur scholars. In the classical field amateur collector studies have achieved quite remarkable progress in the field. Examples are Walter Breen, a well-known example of a noted numismatist who was not an avid collector, and King Farouk I of Egypt was an avid collector who had very little interest in numismatics. Harry Bass by comparison was a noted collector who was also a numismatist. The second group are the coin dealers. Often called professional numismatists, they authenticate or grade coins for commercial purposes. The buying and selling of coin collections by numismatists who are professional dealers advances the study of money, and expert numismatists are consulted by historians, museum curators, and archaeologists. The third category are scholar numismatists working in public collections, universities or as independent scholars acquiring knowledge about monetary devices, their systems, their economy and their historical context. An example would be Kenneth Jenkins. Coins are especially relevant as source in the pre-modern period. Manillas - a form of primitive or archaic money. ^ Glyn Davies. Chronology of Money 1900 — 1919. ISBN 0 7083 1351 5. http://www.ex.ac.uk/~RDavies/arian/amser/chrono14.html. Retrieved 2006-08-09. ^ Suetonius, Augustus 75 on-line text. ^ Encyclopedia of Library and Information Science. 1985. p. 281. ISBN 0824720377. This page was last modified on 11 May 2011 at 02:52.